In 2007, Peter and Shirley Williams made a gift of a conservation restriction on this 72 acre parcel that they own to the Grafton Land Trust. Abutting the great Potter Hill Meadows and G. Knowlton Preserve, this property taps into a wonderful network of trails and open space connecting the northern end of Brigham Hill Road with the top of Potter Hill Road. Wheeled vehicles are precluded from the trails. 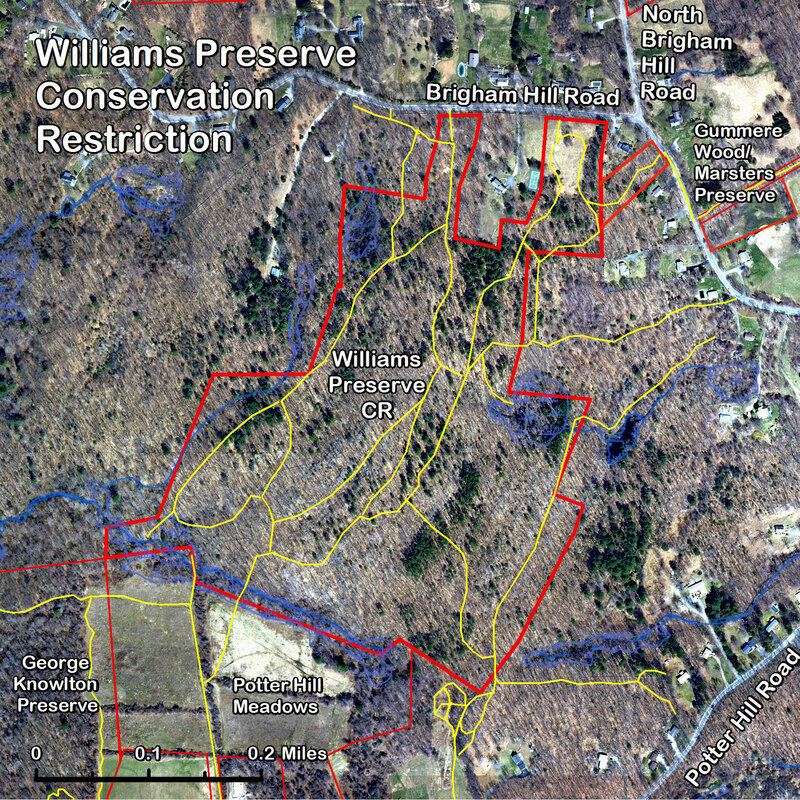 Williams Preserve is a beautiful parcel located on Brigham Hill Road. The owners of the property, Peter and Shirley Williams, purchased it in 1984 from George Bullock. Mr. Bullock cherished his land and intended to always keep it open and free from development. It was Peter and Shirley's intention when they purchased the property, to honor Mr. Bullock's wish and preserve the land. 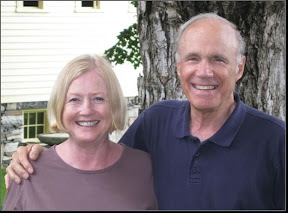 In 2007, Shirley and Peter placed a Conservation Restriction on 75 acres with the Grafton Land Trust. This allows the Preserve to be used by the public and remain forever undeveloped. The Williams Preserve is part of the original Brigham Hill Farm, established by Charles Brigham in 1727. Charles Brigham was one of the "Forty Proprietors" who were given the grant to settle Grafton by King George II of England. The farm eventually covered most of Brigham Hill and raised fine dairy cows. The last of the Brighams, Margaret Brigham, died in 1952. Previously, she had sold some of her land to George Bullock, who cherished it and wished to keep it free from development. Shirley and Peter Williams purchased it in 1984. Thereafter they acquired an adjacent piece, making a total of 75 acres. During the spring of 2006, the southeast portion of Williams Preserve was damaged by an out-of-control brush fire. As Captain Rick Allain of the Grafton Fire Department recalls, "It had been very dry. The winds were picking up and changing directions. The fire tower called and said they spotted heavy smoke in our Brigham Hill and Potter Hill area. We went in a driveway up on Potter Hill. The state sent a truck in off Brigham Hill. Grafton and Westboro crews came in around 26 Potter Hill. We used every bit of brush hose we had. It took about 2 hours to surround it. We finally got to the head of the fire with buckets, filling them from a stream. We finally got it under control and the wet-down started well into the night. Food and refreshments were brought in to the crews by our wives and friends from our support truck." Fortunately, the fire remained close to the ground and did not level many of the trees in the area. The charring on the bottom third of the trees is still visible, but new life is emerging from the leaf and pine needle-covered ground and the foliage and evergreen remains in the treetops.